Last week Papa Smurf, Smurfette and Travel Smurf travelled to Brussels Airport for the revelation of a statue dedicated to them. Since then thousands of passengers have been greeted by Belgium’s best known little blue creatures. 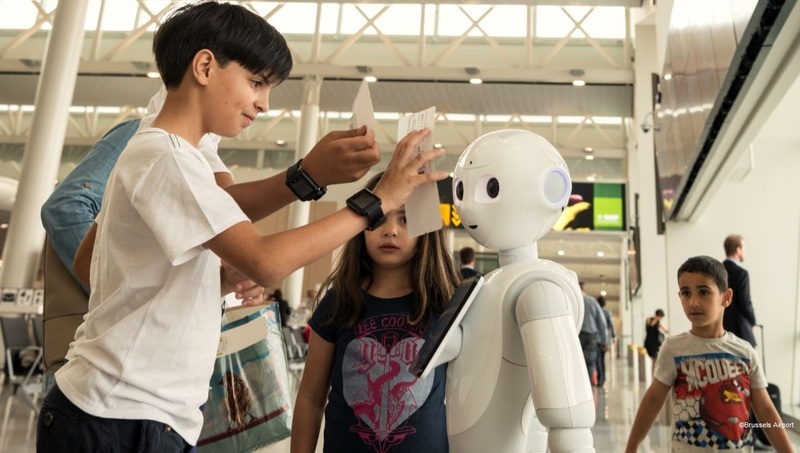 During summer passengers travelling through Brussels Airport will not only by greeted by the Smurfs, they will also be welcomed by BRUce Pepper, a humanoid robot. 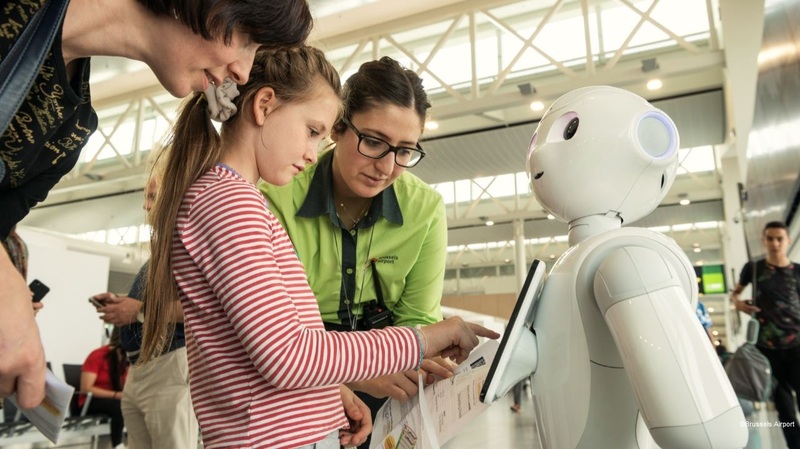 BRUce the childsized robot, can read the boarding pass and give flight information, such as the gate where passengers have to board the flight. He can even think beyond the airport and can give travellers real-time information on the weather at their destination. BRUce Pepper also has a lot of practical tips and information for passengers about the shops and restaurants and will even offer a discount voucher. Naturally BRUce can also solve one of the most common questions passengers have, he knows the way to the nearest toilets. BRUce will not only help passengers navigate through the airport, travellers can challenge him to a little quiz or take selfies. 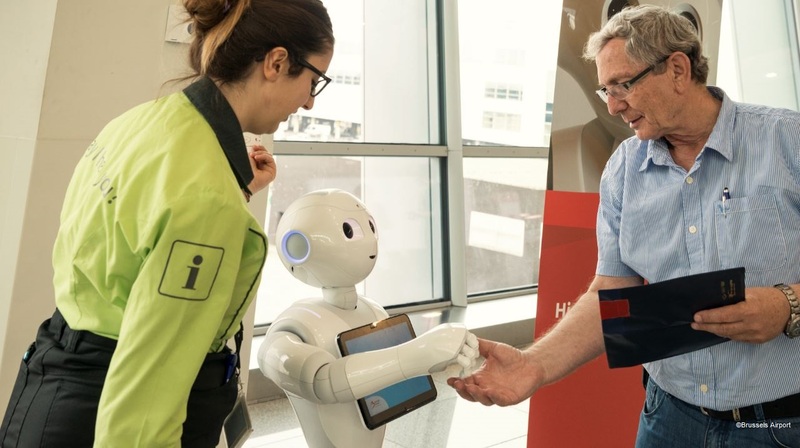 The airport staff are not the only ones ready to welcome passengers during the busy summer months, BRUce Pepper will be assisting them wherever possible. You can meet BRUce behind the security checkpoint in the Connector.